The Red Drum Fishing in 2017 is Off the Hook! 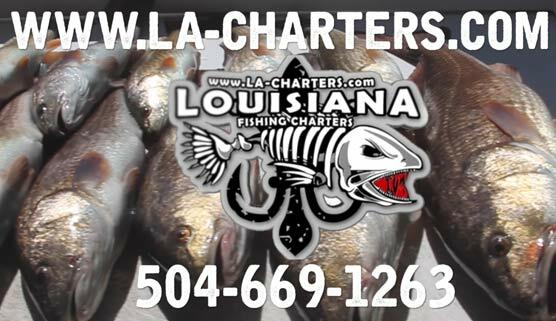 I think there’s a common misconception that Louisiana charter fishing has it’s best months in May and June. While May and June are just about sure bets, this year March and April have been beyond expectations. It most likely has something to do with the warm winter we had. Since water temperatures never really dropped to really cold levels, the fish have started their transitions early this year and they are actively feeding as they do that. 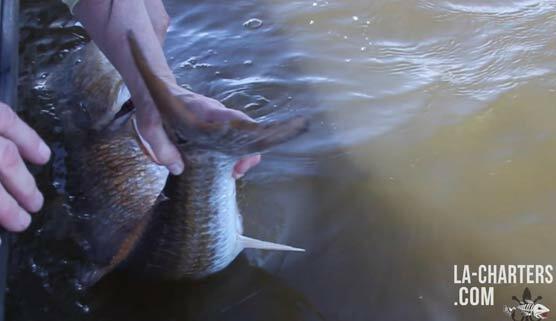 What’s driving the redfish boom right now is the big influx of schools of mullet into the marsh. They are leaving the open Gulf and heading into the marsh. The hungry redfish follow behind. We recently caught the biggest redfish on my boat ever. The fish came in at 42 inches and weighed over 30 pounds. This is no doubt a fish that spends most of its time in the open Gulf, but has followed schools of mullet into the marsh. If you are coming to Delacroix to fish, look for the big schools of mullet and you will find the redfish. Although the fish are making it easy for us, we never get too comfortable. We actively track and follow these schools of fish to give our clients the best chance possible at having a successful day of fishing. We have noticed that schools of trout are already on the outside edges of where the marsh turns into the open waters of the Gulf of Mexico. You can come to New Orleans redfishing but we can also target trout when they are biting. That’s why we stay so active on the water- so we can be tuned into what the different fish are doing at any given time. It’s a good time to be a Louisiana fishing guide. The weather is still mild and it hasn’t gotten to be brutally hot yet. Fish are actively feeding and higher salinities have many areas with very clean water right now. Delacroix is on fire and we can’t wait to take you.